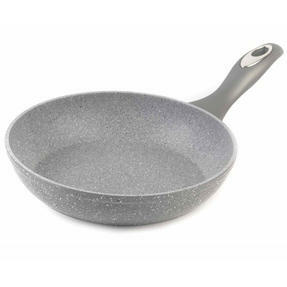 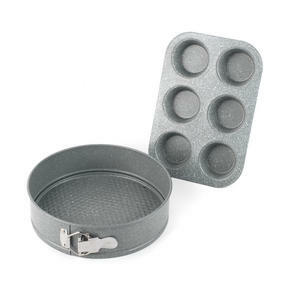 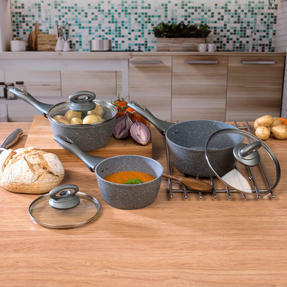 Whether you are looking to refresh your cookware or begin a collection, start with these charming grey marble Salter pans. 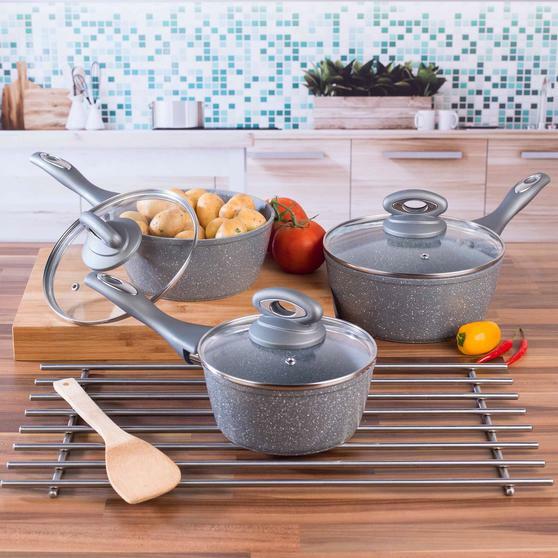 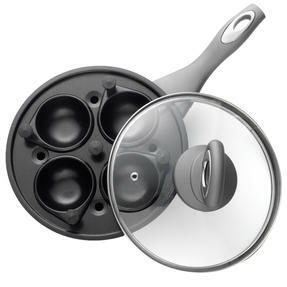 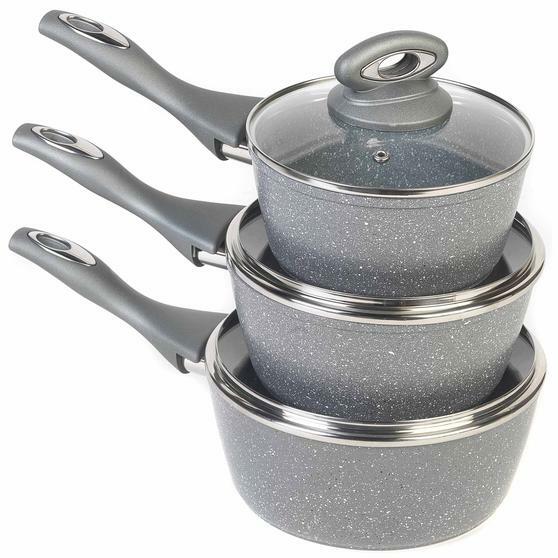 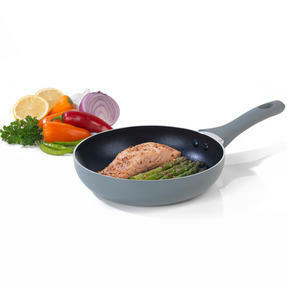 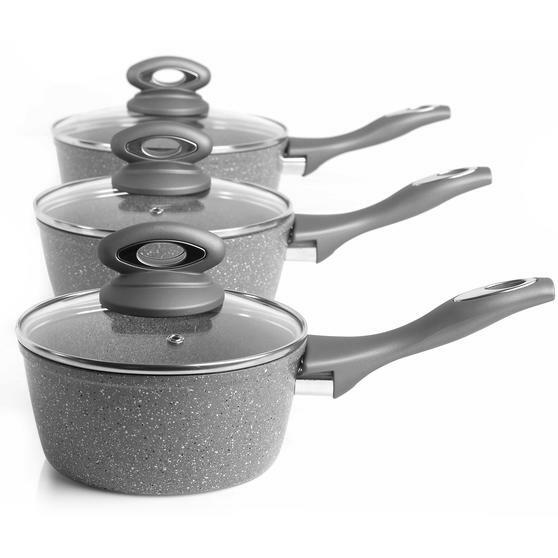 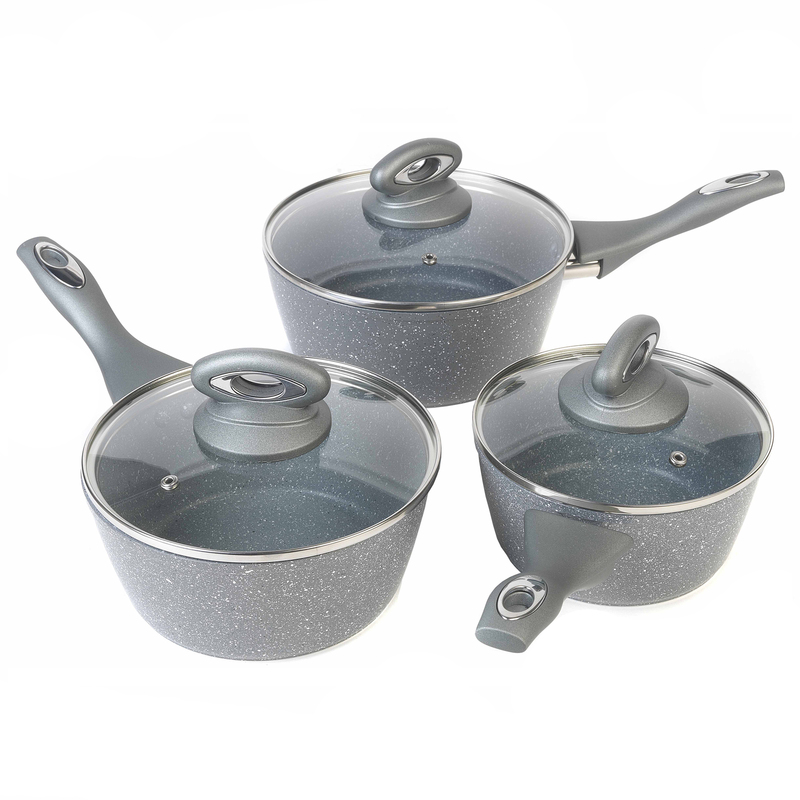 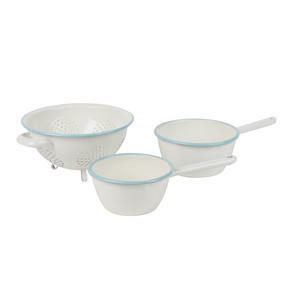 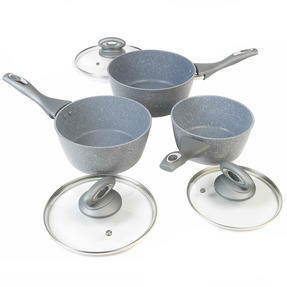 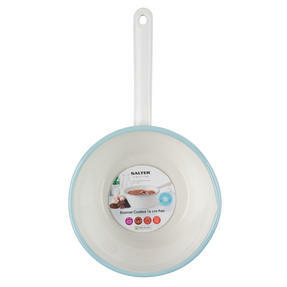 A three piece saucepan set, they have non-stick marble coated interiors so food is easily released, and are dishwasher safe for effortless cleaning with no soaking necessary. 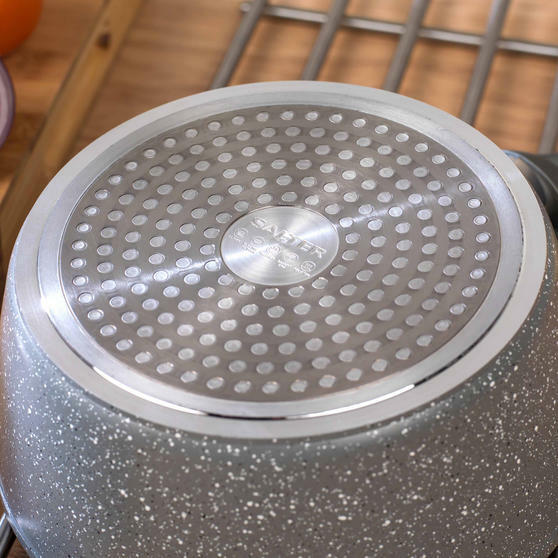 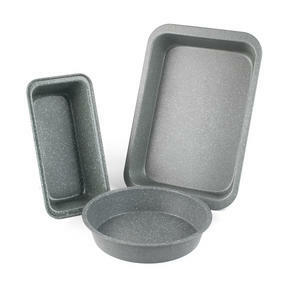 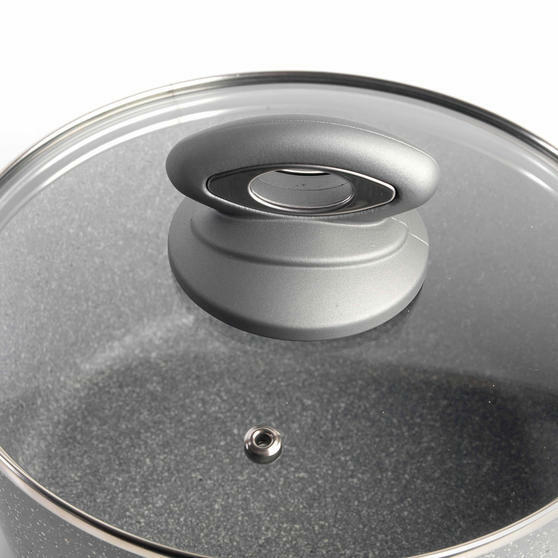 They have tempered glass lids with steam vents to prevent boiling over, and induction bases so they are suitable for all hob types. 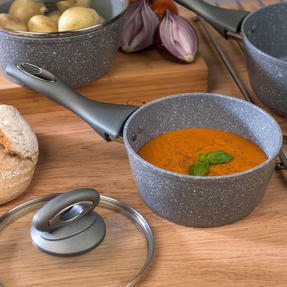 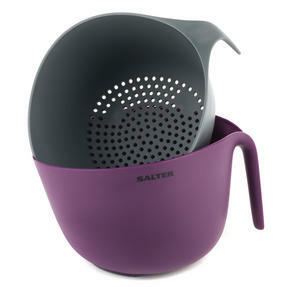 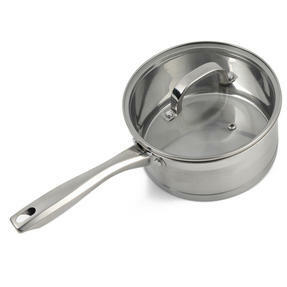 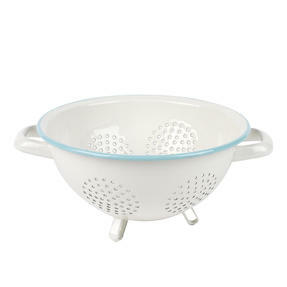 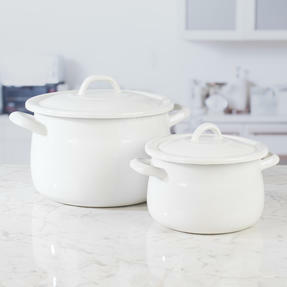 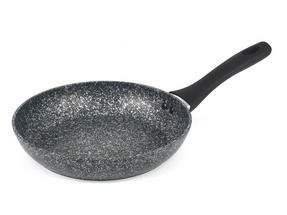 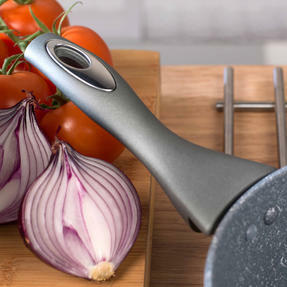 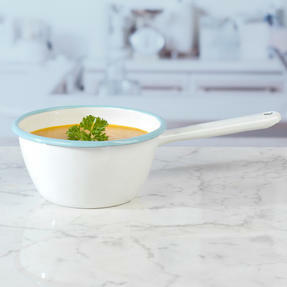 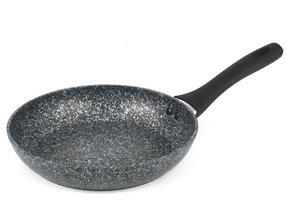 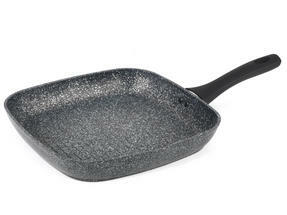 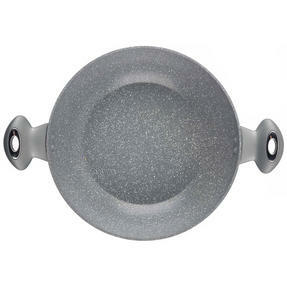 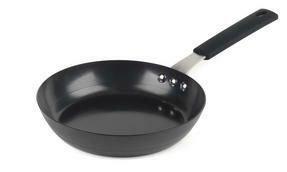 Sleek and durable, these exceptional saucepans are a kitchen staple. 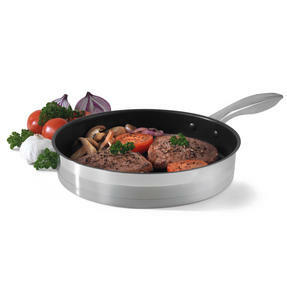 Cook like a professional with these Salter pans featuring a revolutionary coating which require less oil for gorgeous, healthier food. 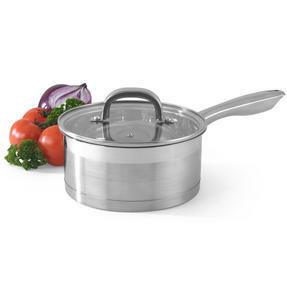 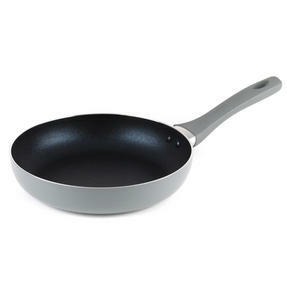 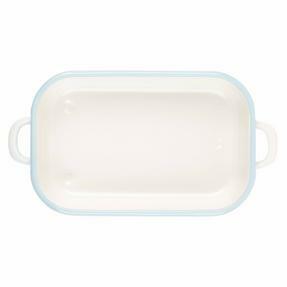 A set of 16, 18 and 20 cm saucepans with clear glass lids, they are wonderfully long lasting so you can cook with confidence. 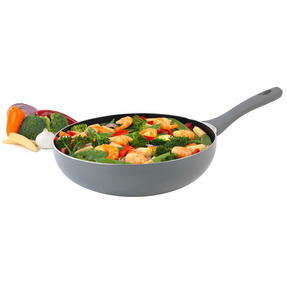 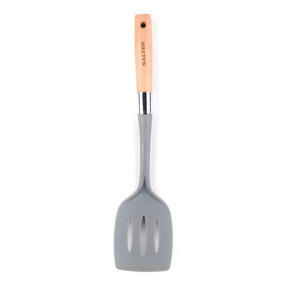 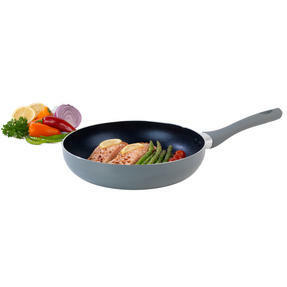 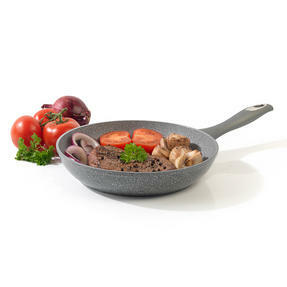 Made from forged aluminium with a marble coating, food will easily be released from the pan when cooked for effortless cleaning. 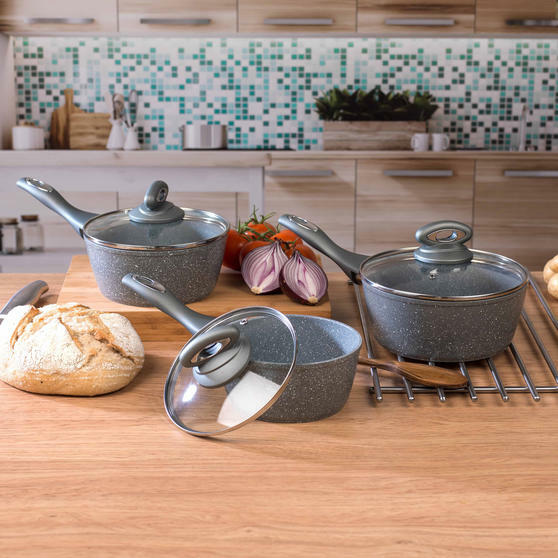 The marble pans will look clean and smart in your kitchen, with Bakelite silicone coated handles to provide secure lifting. 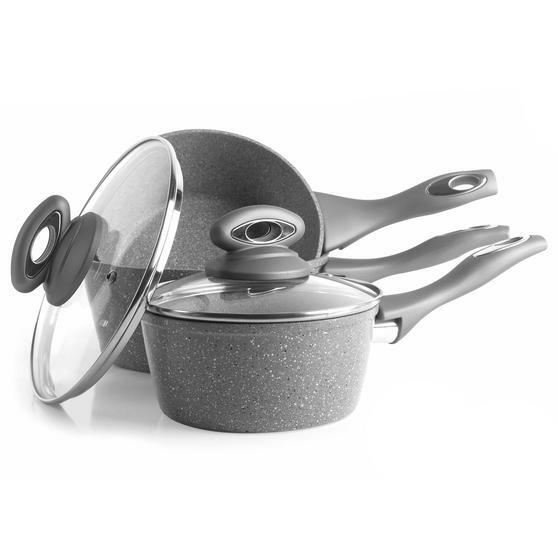 Ideal for everyday use, these saucepans are even suitable for use in the dishwasher, so the cleaning can be as simple as the cooking.